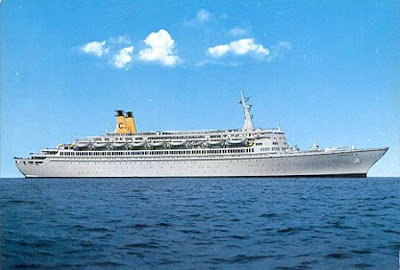 This is the last post of 2011, for next year would like to wish better luck for two very beautiful passenger ships, the iconic "ROTTERDAM" of 1959 at the moment moored at her home port of Rotterdam and open to the public for tours, accommodation and restaurant, the ship is up for sale despite receiving more than 500.000 visitors during the first year of her new role and the "PACIFIC" former "SEA VENTURE" of 1971 and "PACIFIC PRINCESS" of 1975 famous for her role on the TV series "THE LOVE BOAT", the ship has been laid up at Genoa for a long time facing a very uncertain future, so good luck for 2012 for these two very nice passenger ships. 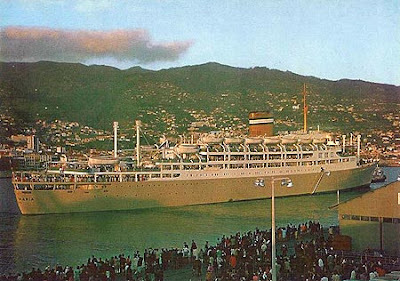 The end of the line for "INFANTE DOM HENRIQUE"
"INFANTE DOM HENRIQUE" becomes cruise ship "VASCO DA GAMA"
the beautiful portuguese liner "INFANTE DOM HENRIQUE"
Portuguese liners "SANTA MARIA" and "VERA CRUZ"
The 1972 finnish built BLACK WATCH was considered one of the modern liners of her time, truly avand garde in numerous ways when launched by Royal Viking Line. 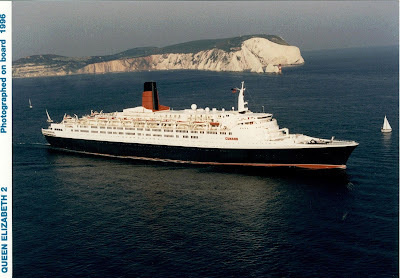 Along with her two sisterships delivered the following years, she was one of the most luxurious passenger ships in the world. 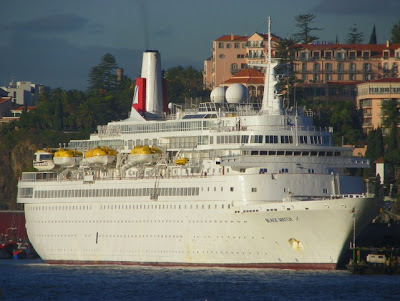 Today in Funchal we were able to contemplate BLACK WATCH's fine lines, that have gracefully sailed into the modern cruising sceane, on yet another visit to Madeira this time westbound to the Caribbean sea where she will spend both Christmas and New Years celebrations. 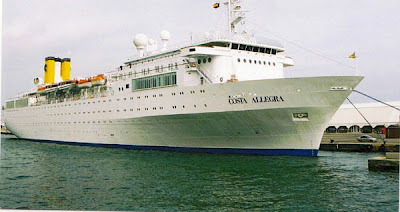 "COSTA ALLEGRA" and "COSTA RIVIERA"
An interesting looking ship the ASTOR seen berthed today, 15th December 2011 in Funchal, Madeira. 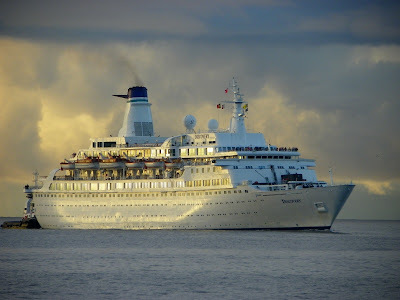 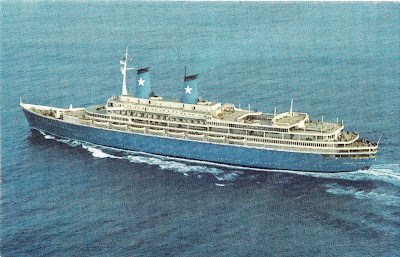 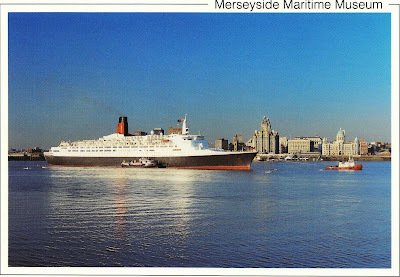 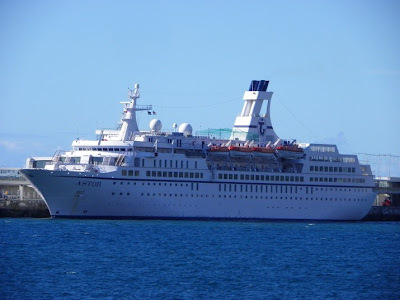 She was built in the 80's as a sister ship to the former ASTOR the current SAGA PEARL II, but unlike her predecessor, this new cruise liner was faster and had better amenities especially conceived for the Capetown-Southampton route. 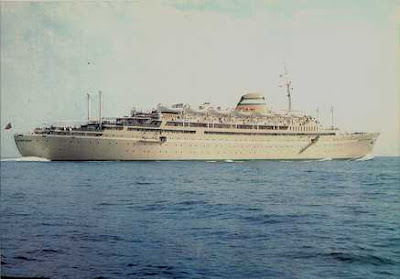 After the plans were abandoned by Safmarine, ASTOR started operating for a german company, a service that would last for only eighteen months.Next she was sold for soviet interests as the FEDOR DOSTOIEVSKY and was later renamed again with her orginal name. 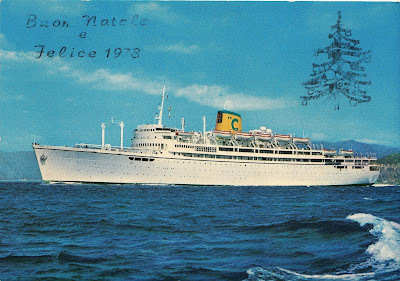 After some charters she ended up in Transocean and in 2006 the ship was purchased by the Premicon group of Munich, maintaining the charter with her present operators. 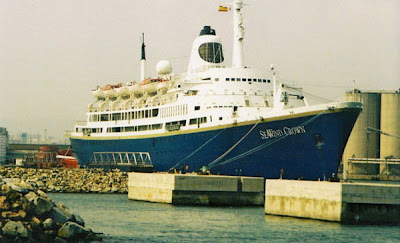 In the previous year she was refited in Bremerhaven where additional cabins were added, some with balcony placed onto the ship's bow slightly changing her original profile. 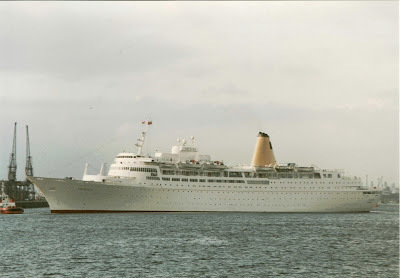 P & O CRUISES "VICTORIA"
"WILLEM RUYS" becomes "ACHILLE LAURO"
In 1964 the "WILLEM RUYS" was sold to FLOTTA LAURO, today MSC CRUISES and was renamed "ACHILLE LAURO", the ship went into a massive reconversion but kept her beautiful lines, she was a regular caller to Lisbon as a result I have great memories of this fantastic vessel, she is also a ship of my youth, "ACHILLE LAURO" became even more famous because of the 1985 hijacking, she was lost by fire in 1994 on the 2sd of December, the same day she started her maiden voyage back in 1947. 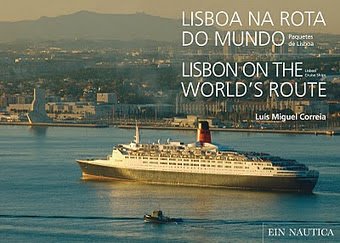 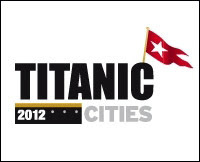 ROYAL ROTTERDAM LLOYD "WILLEM RUYS"
Visit the "SOUTHAMPTON OCEAN LINER EXPERIENCE"
the end of the line for MS "AUGUSTUS"